Bixby Kennedy was a clarinet Fellow at the Festival in 2017. Originally from Maryville, TN, Bixby is a fellow of Ensemble Connect where he performs in Carnegie Hall and Juilliard, is a teaching artist in the public schools, and presents community engagement concerts throughout New York City. The recipient of the Grand Prize in the 2017 Minnesota Orchestra Young Artist Competition, Bixby will perform a concerto with the Minnesota Orchestra in October 2017. 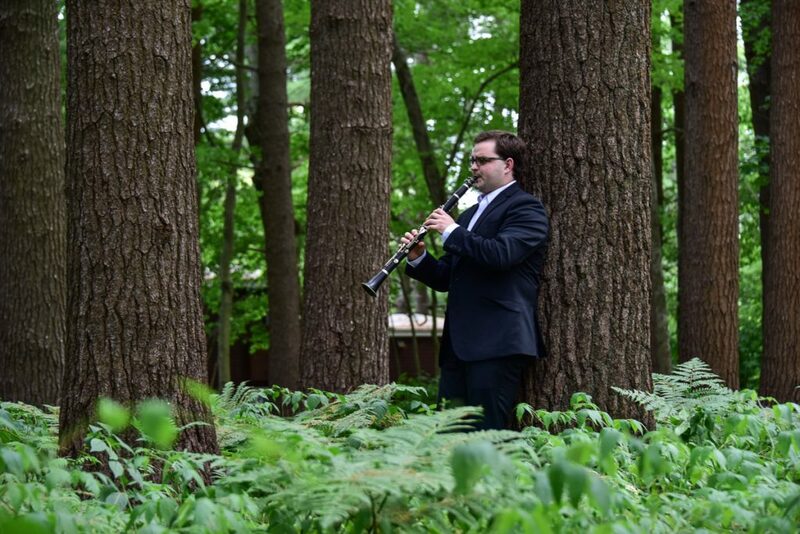 As a soloist, he has garnered prizes from the ECSO, Hellam, Ima Hogg, Boston Woodwind Society, and Indiana University competitions. Q. How did the Festival’s Fellowship Program help you to grow as an artist? A. The Festival helped me develop as an artist and performer by placing me in an environment in which I was challenged and inspired by my colleagues, all of whom had an equal investment in coming together and creating great music. In addition to having great colleagues who will continue to be involved in my musical life, the program provided me with ample opportunities to play for, and work alongside the world renowned musicians who are on faculty at the Festival. Q. What are the impacts of music outreach in the community, both at the Festival and in your musical life? A. I had a great time performing in several Community Concerts in and around Brunswick. The audiences were great and always so happy to see the performances. I love that I could share repertoire with audiences that might not be able to make it to the traditional concert setting. I always feel that I grow personally and musically when engaging an audience by speaking before or after pieces and then discussing with audience members after the performances. Q. A key element of the success of a chamber group is collaboration. How was collaboration important to you in your time at the Festival? A. For me, the role of collaboration in the Festival was integral to the success of the many chamber groups with which I performed. Collaborating with Fellows and Faculty in a warm and friendly environment is a very special thing. Additionally, since the fellowship program is pretty free in terms of scheduling, there is the unique opportunity to rehearse as little or as much as needed before performing. Q. What is a favorite non-musical highlight of your time at the Festival and in Maine? A. The good food and the landscape. I loved going to the little lobster houses and seeing the beautiful Maine coastline. Q. What did the Fellowship Program mean to you in your journey of becoming a professional musician? A. For me, the Fellowship Program was a great way to make new contacts with other Fellows and faculty that I will carry well into my professional life. An added perk of the Fellowship Program is the weekly Fellow meetings. Once a week all of the Fellows would get together with one or both of the Artistic Directors as well as a “featured” faculty member to talk about their musical lives and paths and allow us to freely ask questions and have open discussion. Some of the topics included the role of a board in a festival or non-profit organization, teaching in schools and universities, collaborating with composers, and more.